Below you will find resources to support educators’ implementation of research-based practices. Resources include tools for (a) quality indicator coding and classifying the literature into an evidence-based practice category, (b) research briefs, (c) practice guides, and (d) summary presentations of work completed by the Comprehensive, Integrated, Three-tiered (Ci3T) models research team. 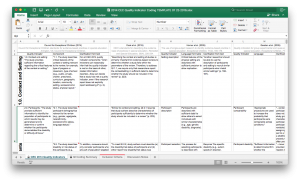 We offer this MS-Excel tool to aid researchers in completing systematic literature reviews including quality indicator coding. The matrix is for use in conjunction with procedures described in Council for Exceptional Children Standards for Evidence-Based Practices in Special Education (CEC, 2014) for evaluating the evidence base of an operationally defined practice or program on student outcomes. 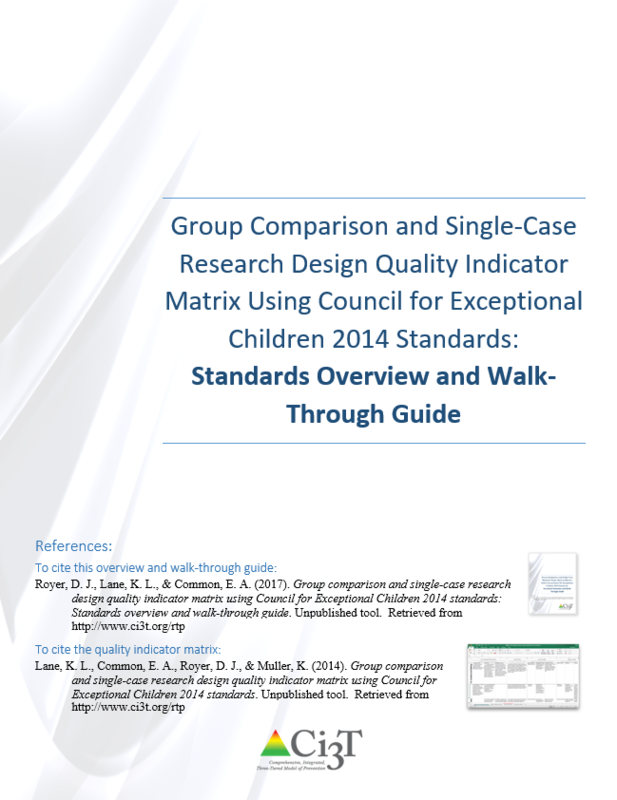 Also below are (a) a walk-through guide illustrating step-by-step how to use the quality indicator coding matrix, including an overview of CEC’s evidence-based practice standards, and (b) an auto-scoring check for understanding to self-assess your readiness to use these resources. We recommend a criterion of 90% as the passing score for this check for understanding.